"Hans Hansen Lilienskiold. A Norwegian Traveller to Italy 1669-1670. A Portrait of a Man and his Time", Analecta Romana Instituti Danici 28 (2002), 163-179. There are many ways a deceased person can be brought to rest, and the shape and position of the funerary structures are likewise many. In the North-East Necropolis of Hierapolis can be followed a funerary history spanning at least 14 centuries from the 3rd/2nd century BC to c. AD 1300. The aim of the present paper is not to describe the physical evidence of funerary activities and changes, but to investigate if, in the periods of funerary changes, the changes can also be related to mental processes or cognitive concerns in the population who made the burials. In two case studies identity and memory are discussed with reference to purification and liminality in late Republican/early Imperial Rome with Caesar and Octavian as the respective protagonists. Both studies regard the way the two protagonists handled the Lupercal cave (in the southwest corner of the Palatine Hill, an area dense with historical memories connected with Rome’s earliest history) and the Lupercalia as a means to create an identity of power. The first study discusses Caesar’s blunt use of the Lupercalia purification festival in 44 BC to create an identity as the Saviour of the city. The second study discusses Octavian’s subtle entry into the southwest corner of the Palatine Hill and his use of the Lupercal’s liminal position in early Roman history as a guideline for the position of his house, whereby he established an identity built on respect for ancient values and continuity. Their methods in the use of the past were different, as were the outcomes. The article ends with a few words on the Lupercalia and oblivion — the antonym of memory. Hunden ansees i artikkelen som et liminalt dyr, et dyr som beveger seg i grenselandet mellom natur og kultur. Hunden er vill og bedragersk samtidig som den er trofast og oppofrende. Gudinnen Hekate, som var budbringeren mellom de levendes og de dødes verden og følgelig beveget seg i liminalsonen mellom de to verdener, hadde hunden som sitt følgedyr. Hunder ble ofret ved typiske renselsesfester, som f.eks. ved Luperkalfesten i Roma og det er mulig i denne rolle vi skal se hunden på brystpanseret til Augustus' Prima Porta-statue. Ved tilbakeleveringen av erobrede romerske felt-tegn, måtte disse renses for den besmittelse de var påført i sitt "fangenskap". Hunden i dette siste tilfellet må følgelig sees på som en metafor for en handling, ikke som et attributt for en person (Mars, Romulus, Tiberius). Volume 10 of the series "Lazio e Sabina": Obituary of the Danish archaeologist Pia Guldager Bilde, including a near complete list of her publications. In the introduction some specific funerary terms (Change and Continuity, Belief and Ritual, Body and Deposition, Place and Burial, Performance and Commemoration) are discussed indicating how they have been used by the contributors to the volume. In the introduction some specific funerary terms (Change and Continuity, Belief and Ritual, Body and Deposition, Place and Burial, Performance and Commemoration) are discussed indicating how they have been used by the contributors to the volume. A leitmotif among the authors is that they are more concerned about the mental meaning of the tomb and the funeral than the social position of the deceased. Arnold van Gennep’s pioneering study on rites-de-passage more than a century ago has only recently been applied to Etruscan cultural studies and, in particular, opened up new aspects and interpretations of Etruscan funerary practices and iconography, as expressed in tomb paintings and sculpture. However, apart from definitions of funerary real and mental spaces, discussions on ancestral ideology, and occasional studies of one or more tombs and selected pictorial themes and details, no investigation has tried to apply van Gennep’s model in order to understand in greater detail the preserved Etruscan tomb paintings in coherence. - The present study is an attempt to remedy this defect, and it was carried out with references to Mary Douglas’ observations on taboos, pollution, and purification and to two additional important concepts in ritual studies: content and form. The investigation begins by returning to a central question in Etruscan tomb painting: the change in tomb iconology from merry revellers in the 6th/5th centuries BC to monstrous nether world scenes in the 4th century BC and later. In the past, this marked change was interpreted from either a political or an eschatological point of view. However, with the discovery of a new tomb at Tarquinia some 25 years ago, Tomba dei Demoni Azzurri, dated to 450–430 BC (or slightly later), these views have been somewhat modified. The aim of the present paper is thus to review some of the data on Etruscan painted tombs from the Archaic to Hellenistic times and discuss, with a view to van Gennep and Douglas, if the changes in iconology are due to a change in ritual content or only in form. In a recent publication ("Passage to the Underworld. Continuity or Change in Etruscan Funerary Ideology and Practices (6th–2nd Centuries BC? ", i J.R. Brandt, M. Prusac & H. Roland (eds): Death and Changing Rituals. Function and Meaning in Ancient Funerary Practices; Oxbow Books: Oxford 2014, 105-83) an attempt was made to single out recurring pictorial motifs in Etruscan tomb paintings and to interpret them as elements of funerary ritual procedures with reference to Arnold van Gennep’s rites-de-passage model (1908) and Mary Douglas’ views on purity and danger (1996). The model is here applied on the Archaic and well-known Tomba dei Tori at Tarquinia in order to see if the tomb’s many enigmatic pictorial scenes can be read as coherent elements of such procedures. Året 1071 var kanskje et viktigere år for Europas utvikling enn året 1066, som tittelen indirekte refererer til. Da ble den bysantinske keiser Romanos IV Diogenes slått av seldsjukklederen Alp Arslan ved Manzikert i det østlige Anatolia. Artikkelen trekker opp den historiske bakgrunn for slaget og seldsjukkenes erobringstokter sett i lys av markerte klimaendringer både i sentral-Asia og i Midtøsten og Egypt. Konstantinopels historie begynner i Troja, noe et utvalg av skulpturer satt opp i byen i forbindelse med dens grunnleggelse i 325. I artikkelen trekkes en linje fra Troja til Roma og derfra til Konstantinopel, der temaet er hvilken betydning Trojas fall og Aeneas’ overlevelse hadde på de to verdensbyers grunnleggelse og senere historie. Scavi dell'Institutum Romanum Finlandiae nella zona di "Lacus Iuturnae" al Foro Romano, Roma: Rapporto finale su un gruppo del materiale ceramico. Titolo della publicazione: E.M. Steinby (a cura di): "'Lacus Iuturnae' II. Saggi degli anni 1982-85. 2. Materiali (ISBN 978-88-7140-477-6). Scavi dell'Institutum Romanum Finlandiae nella zona di "Lacus Iuturnae" al Foro Romano, Roma: Rapporto finale degli scavi del saggio I. Titolo della publicazione: E.M. Steinby (a cura di): "'Lacus Iuturnae' II. Saggi degli anni 1982-85. 1. Relazioni di scavo e conclusioni (ISBN 978-88-7140-477-6). In Late Antiquity burials, which before always were plaved outside, now started to appear inside the city walls. The process behind this change is discussed in relation to ideas about Roman sacred space, pollution (including the role of the Lupercalia), and the Christian view of the dead body, not as a polluter, but as sacred and holy, permanently purified at the moment of baptism. Three vases of Panathenaic shape, but not carrying the standard prize-vase motifs, two in red-figure technique, one in black-figure, are discussed. An attempt is made to see them not in relation to a political setting, but to a Pananthenaic ritual, in which the yearly Panathenaic festival is regarded as a rite of passage for young males to become fully grown up citizens with all their responsibilities and duties. The household shrines, or lararia, in private dwelling houses at Pompeii and Ostia are discussed according to the following parameters: type of lararia and their orientation, the rooms/spaces in which the lararia appear in the house, major movement lines within the house, deep-view axes and other viewed lines, the size of the houses, and the region in which the houses are situated. The aim of the paper is first, from a synchronic point of view, to investigate which type of lararia were placed in what architectural contexts, in a private or public position, within the house. Then a diachronic view is adopted to see if there are changes over time. A tabular catalogue of all lararia registered in private dwelling houses at Pompeii and at Ostia is appended. In an attempt to investigate the role of ceramics in a social context Late Iron Age and Archaic pottery from three Latin sites, Ficana, Satricum, and Lavinium are studied and compared according to their function. En diskusjon av de topografiske, geologiske og økonomiske forutsetninger for plasseringen av Roma der byen nå ligger. An analysis of import routes, ship tonnages, and amount of wares imported to Rome every year. The article concludes that the Tiber was the main route of import, but it was also a potential bottleneck in the supply system. The river had a maximum carrying capacity and was perhaps the element which, in demographic terms, in the last instance determined Rome's point of saturation and stabilised the number of inhabitants at a certain number through the imperial period, a number that most likely was well below 1 million. The composition of votive offerings found at the temple and altar on the acropolis at Gortyna, Crete, suggests that the celebration of the goddess of the temple throughout its history (from 8th c. BC onwards) was dedicated to Athena as protector of the city, amalgamated with an obscure Minoan-Mycenean deity named Hellotis, and that the celebration of her at the festival called the Hellotia comprised initiation rites for young men. At the same occation Europa was celebrated as the heroine of Gortyna, and on whose presence the town depended. The atrium and the central peristyle house are two basic types in Roman domestic architecture. They can be followed from the 6th/5th centuries BC to the 5th/6th centuries AD, the second type overlapping the first in the Early Imperial period. In both types of houses can be observed two recurring and related ordering principles in the organization of spaces: movement patterns and visual axes. While the use of the visual, or “deep-view” axis appears to be modified over the centuries in relation to the manipulation of social self-advertisement performed by the elites, the architecturally conditioned movement patterns appear to remain constant. Three discret archaeological features incorporated into a second and third c. AD Roman complex on the NE slope of the Palatine Hill appear to be the fragmentary remains of a monumental, two-storied building of the late Republican or earliest Empire. The surviving fragments are described, possible partial reconstructions are proposed on the basis of comparanda and on proportional models of construction, and the building is considered in the archaeological and architectural context of the NE corner of the Palatine Hill. Artikkelen gjennomgår den moderne forskningshistorie rundt utviklingen av det greske teater. I den foreliggende Del I diskuteres "orchestras" form og scenebygningens utseende. Brandt, Johann Rasmus; Prusac Lindhagen, Marina & Roland, Håkon (ed.) (2014). Death and Changing Rituals. Function and Meaning in Ancient Funerary Practices. Oxbow Books. ISBN 9781782976394. 456 s.
Iddeng, Jon Wikene & Brandt, Johann Rasmus (ed.) (2012). Greek and Roman festivals : content, meaning, and practice. Oxford University Press. ISBN 978-0-19-969609-3. 405 s.
Brandt, Johann Rasmus & Hostetter, Eric (2009). Palatine East Excavations. Volume I. Stratigraphy and architecture. De Luca. ISBN 9788880169550. 302 s.
Brandt, Johann Rasmus (2014). Guds forbannelse? Den hellige bys to tusenårige historie sett mot en bakgrunn av jordskjelv, kult, religionsskifte og begravelser. The 7th c. AD was a turning point in the history of the Byzantine Empire. It was a period of great changes when the classical civic life was replaced with a provincial town life of a very different character. The kind of urban culture which survived bore little or no relation to antique cities whether evolving on their sites or founded as new settlements elsewhere. Were these changes due to internal, structural alterations independent of demographical changes, or were they conditioned by external environmental factors like pestilence and earthquakes, creating a demographic breakdown? An attempt is made, first, to look at the external forces in cohesion and at their intensity patterns, and, second, to place short term documented effects into a long term analytical picture. Brandt, Johann Rasmus (2014). Summary and Concluding Remarks. The University of Oslo has since 2007, on the invitation of the Italian Archaeological Mission at Hierapolis in Phrygia, been investigating the east necropolis at Hierapolis, the Roman necropolis in which also the apostle Philip was buried. The cult which developed around the apostle in the late Roman and early Byzantine times had a marked effect on the history of the east necropolis, a history which can be followed through the use, reuse and reuse of the reuse of the Roman necropolis all the way up to about AD 1300, and to a certain extent contrasting what we know of the habitation and activity in the ancient city. Using the results from meticulous excavations and studies of the deposited skeletons (including radiocarbon dating, DNA-, and isotope-analysis) and artifacts our aim is to give some insights into the changing burial practices of the area and the people practicing them. The presentation, with a view to future studies, will also include an evaluation of the work invested and the results obtained. Brandt, Johann Rasmus (2013). 1071 and all that. Et bysantinsk skjebneår?. Brandt, Johann Rasmus (2013). Forma Urbis Romae. A Fragment of Ancient Rome. Brandt, Johann Rasmus (2013). Funerary and Mortuary Studies in Asia Minor – Some Challenges. Brandt, Johann Rasmus (2013). Liminalità e purificazione: una chiave di lettura per le pitture funerarie degli Etruschi?. Brandt, Johann Rasmus & Götherström, Anders (2013). Ghost Towns in Anatolia. A Research Project on DNA and Demography in the Offing. An attempt is made to explain the marked decline of the Byzantine empire in the 7th century AD, not as due to the Persian wars early in the century, but as a result of serious demographic changes caused by continuous outbreaks of the Justininan pest from the 540's and a strong concentration of earthquakes (an earthquake storm) in the period ca. 520-580 AD. Brandt, Johann Rasmus (2012). Fra Troja til Konstantinopel: en fortelling om romerske røtter i gresk garnityr. Brandt, Johann Rasmus (2012, 03. februar). Ikkje så gamal likevel? Nye forskningsresultat kring den kapitolinske ulvinna kan ha blitt haldne tilbake av politiske grunnar. Dag og Tid. Brandt, Johann Rasmus (2012). Liminality and purification. Some reflections on funerary practices and ideological changes in the Roman and early Christian periods. Brandt, Johann Rasmus (2012). Livet i døden. Om graver og gravskikker i den gresk-romerske verden. Elektronisk publikasjon holdt i Norges Vitenskaps-Akademis fellesmøte den 20 okt. 2011 Publisert elektronisk av Norges Videnskaps-Akademi under Minnetaler 2011. Brandt, Johann Rasmus (2012). Venerazione e cambiamenti rituali. Alcune osservazioni sulle celebrazioni di Athena Poliade sull'Acropoli di Atene in epoca arcaica. Brandt, Johann Rasmus (2011). Liminalità e purificazione: Alcuni aspetti sulle pratiche e le ideologie funerarie degli Etruschi (VI sec. - III sec. a.C.). Brandt, Johann Rasmus (2011). Thanatos - a Norwegian Research project on mortuary data from Hierapolis. Presentasjon av apostelen Filips grav i Hierapolis funnet av italienske arkeologer i 2011. Funnet gir ny aktualitet til de norske utgravninger av den omkringliggende romersk-bysantinske gravplass og gjenbruk av romerske graver i mellom- og senbysantinsk tid. 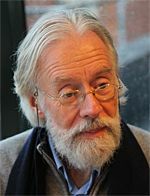 Brandt, Johann Rasmus (2010, 21. september). De døde forteller i Hierapolis. Aftenposten. Brandt, Johann Rasmus (2010, 23. februar). Dronning Margrethe av Danmarks glass-sarkofag. [Radio]. Programposten: Norgesglasset. Brandt, Johann Rasmus (2010, 22. februar). Metropolis - en romersk by i Tyrkia. [Radio]. Programposten: Verdt å vite. Brandt, Johann Rasmus (2010). Thanatos: Dead bodies - live data. Et NFR-prosjekt om livog død i Hierapolis i Frygia. Brandt, Johann Rasmus & Ahrens, Sven (2010, 16. september). Norske utgravninger i Hierapolis, Tyrkia, del I. [TV]. Programposten: Schrødingers katt. Brandt, Johann Rasmus & Ahrens, Sven (2010, 23. september). Norske utgravninger i Hierapolis, Tyrkia, del II. [TV]. Programposten: Schrødingers katt. Brandt, Johann Rasmus (2009). Blood, boundaries, and purification. The creation of identities between memory and oblivion in ancient Rome. Brandt, Johann Rasmus (2008). Fra viet rom til hellige steder. Kristningen av Romas bylandskap i peridoen 300-800 e. Kr. Brandt, Johann Rasmus (2008). From revellers to monsters. Iconological changes in Etruscan tomb painting. Brandt, Johann Rasmus (2008, 01. november). Gaven - Reprise. [TV]. NRK1. Brandt, Johann Rasmus (2008). Luperkalgrotten på Palatinen og Augustus' hus: kunst og politikk i det antikke Roma. Brandt, Johann Rasmus (2008). Mars og Venus i Pompeii. Romersk veggmaleri som minneteater. Brandt, Johann Rasmus (2007, 15. desember). Gaven. [TV]. NRK 1. Brandt, Johann Rasmus (2007). Polis og urbs. Urbanisme og byliv i det antikke Hellas og Roma. Brandt, Johann Rasmus & Synnevåg, Anne (2007, 08. mai). Ephesos: en gravplass for romerske gladiatorer. [Radio]. NRK P2 "Verdt å vite". Brandt, Johann Rasmus (2006). Content and form: some considerations on Greek festivals in archaeology. Brandt, Johann Rasmus (2006). Form og innhold. Noen refleksjoner rundt kultfeiringer på Akropolis i Athen i det 6. årh. f. Kr. Brandt, Johann Rasmus (2006). "Før meg til Pompeii der kjærligheten er søt" - erotikk og byliv i skyggen av Vesuv. Brandt, Johann Rasmus (2006). Non-Panathenaic Panathenaics and the Panathenaia. Brandt, Johann Rasmus (2006). Sacra privata in the Roman domus. Private or public?. Brandt, Johann Rasmus & Aasheim, Erik (2006, 10. april). Ibsen i Roma. [Radio]. NRK, P2, Kulturbeitet. Haagensen, Nils-Øivind & Brandt, Johann Rasmus (2006, 30. november). Roma regner bort. Klassekampen. Brandt, Johann Rasmus (2005). Alexanderslaget i Faunens hus i Pompei - et kontekstuelt problem. Brandt, Johann Rasmus (2005). Form og innhold. Noen løse refleksjoner rundt Panatheneerfesten sett i et diakronisk perspektiv. Brandt, Johann Rasmus (2005). Fra Valhall til "Brede seil...". Nordmenns reiser til Roma fra antikken til nasjonalromantikken. Brandt, Johann Rasmus (2004). Brød og sirkus � om privat gavmildhet og offentlig prestisje i det antikke Roma. Brandt, Johann Rasmus (2004). Il Vittoriano. Storia e concetto. Brandt, Johann Rasmus (2004). Non-Panathenaic Panathenaics and the Panathenaic festival. Brandt, Johann Rasmus (2004). The Panathenaic procession: content and form.